Woocrack.com – Give Form Field Manager is a WordPress Plugin being developed by Give. 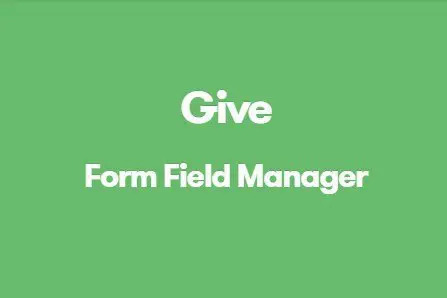 Give Form Field Manager allows you to add and manage additional fields for your Give donation forms using an intuitive drag-and-drop interface. Download Now Give Form Field Manager at Woocrack.com. You’ll receive the exact .zip file you would download from the original author. If you buy on woocrack.com, you can save your money up to 99% and 100% virus free.